The mutual distrust between Democrats and Republicans seems to have affected every topic of our healthcare system. The focus of conversation circles politics rather than finding innovative solutions to providing the most efficient care at the lowest cost. 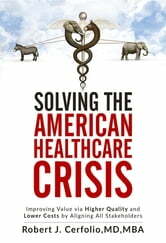 In Solving the American Healthcare Crisis, Dr. Robert J. Cerfolio, MD, MBA, discusses practical solutions to such problems as providing universal access to healthcare and motivating physicians, patients, and insurance companies alike to invest in preventive care. 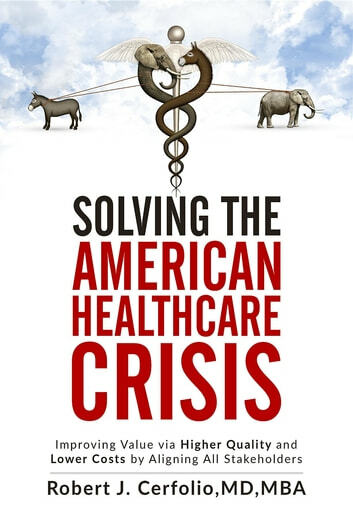 Dr. Cerfolio asserts that improving our healthcare system is not about supporting the political party we associate with–it’s about understanding that there are strengths and weaknesses to what each party proposes, and that the best solution is somewhere in the middle. Dr. Cerfolio demonstrates that we are in fact closer to solutions than many think, because we are beginning to engage in more productive dialogue about the challenges and possibilities of healthcare. In Solving the American Healthcare Crisis, Dr. Cerfolio advances this conversation, bringing us closer to the future of health and wellness in the United States.